Could Jeremy Corbyn‘s apathy lead to Brexit? In April, Jeremy Corbyn announced that he would be campaigning for the UK to remain in the European Union. However, for anyone who has observed the campaign would be forgiven for thinking that this was not really Corbyn’s view or, perhaps more accurately, that he doesn’t really care. Understandably, Corbyn and Osborne have very different political philosophies. Naturally they are going to disagree markedly on almost all policy areas. However, Corbyn has announced that he is campaigning for a remain vote. Therefore, why does he seem to think that it is a good idea to attack one of the most high-profile members of the remain campaign? Surely the conclusion has to be that Corbyn either want to leave the European Union or, at the very least, he doesn’t really care. When Corbyn announced that he was going to campaign to remain the European Union, his statement offered little actual support for the European Union, instead focusing more on attacking the deal which David Cameron brought back from Brussels prior to the referendum. Corbyn’s response to David Cameron’s EU deal. Corbyn may not think that Cameron’s Brussels deal was any good. But, if he really wants a vote to remain then strongly criticising it hardly seems like a good idea, especially when the Labour vote will likely be crucial to a Remain victory. If the turnout for the referendum is similar to a general election turnout (and I suspect that it will be), then Remain need around nine million votes from Labour supporters, and around six million votes from Conservative supporters. Therefore, Corbyn could arguably be more significant to the outcome of the referendum than either David Cameron or George Osborne. Despite this, Corbyn has been extremely quiet on the subject when compared to Cameron and Osborne. Polling has shown that the lack of Labour voices in the EU debate has meant that traditional Labour voters are unaware of what the party’s stance actually is. Last week, a YouGov poll found that two in five Labour voter’s thought that the majority of the party was in favour of Brexit! This lack of clarity is not helped by Corbyn refusal to campaign with David Cameron and the Conservatives. Corbyn’s argument is that there would be no benefit to this and that it would actually have the effect of alienating some Labour supporters. However, what it would do is actually clarify Corbyn’s position on the EU referendum. 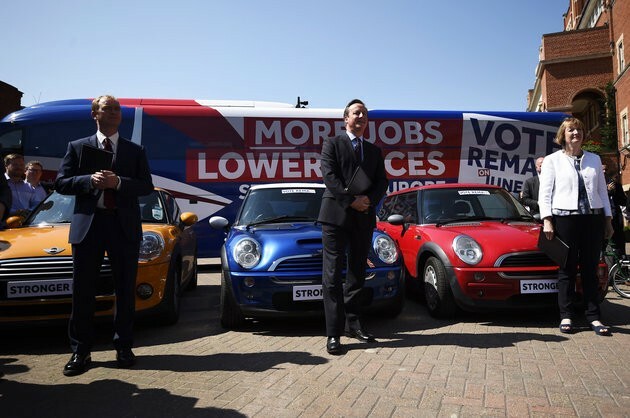 Everyone is aware that the Prime Minister is campaigning to remain in the European Union. Therefore, just one appearance with David Cameron may be enough for Corbyn to publicly clarify his position on the European Union and galvanise the Labour vote. Some Labour politicians have campaigned with David Cameron, which will have had the effect of galvanising Labour voters in favour of a remain vote to some extent. Harriet Harman appeared at an event today with David Cameron, Liberal Democrat leader Tim Farron, and Natalie Bennett of the Green Party. Tim Farron, David Cameron, and Harriet Harman (Photo: Reuters). Whilst recently elected Mayor of London Sadiq Khan has been campaigning with the Prime Minister in London. 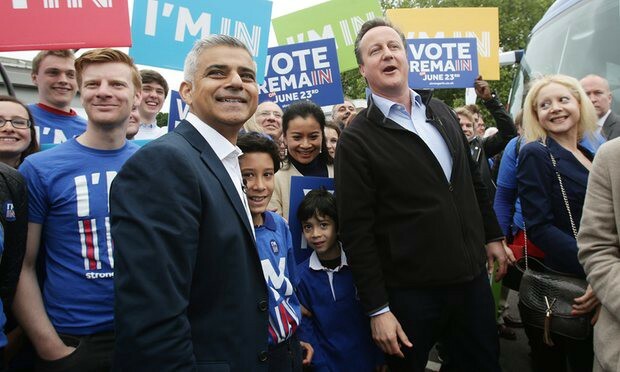 Sadiq Khan and David Cameron (Photo: Yui Mok/PA). David Cameron has even campaigned with ex-general secretary of the Trades Union Congress (TUC), Sir Brendan Barber. It is hard to think of two people who are likely to disagree on policy more than Cameron and Barber. However, despite this they have been prepared to put their differences aside and campaign together in favour of the UK remaining in the European Union. This kind of cross-party campaigning is what is required in order to hammer home the importance of the referendum. In the face of the likes of Sadiq Khan and Harriet Harman being happy to campaign alongside David Cameron; and former adversaries George Osborne and Ed Balls campaigning together; Corbyn’s refusal to campaign with members of the Conservative Party looks petty. Even if Corbyn is going to continue to refuse to campaign with members of other parties, he could still do more in order to try and keep Britain in the European Union. On Saturday, all of Labour’s living former leaders (except Corbyn) signed a letter in favour of remaining in the European Union. Neil Kinnock, Tony Blair, Gordon Brown, Ed Miliband; as well as former acting leaders Margaret Beckett and Harriet Harman, all signed the letter yet Corbyn did not. This seems to be yet another sign that Corbyn is, at best, apathetic about the result of this month’s referendum. With the polls incredibly close, and many showing a lead for the Leave campaign, the remaining weeks of the campaign will be absolutely crucial to ensuring that Britain’s future is in the European Union. Labour voters hold the key to Britain remaining in the European Union. Labour have already lost core voters to UKIP, and they are in danger of losing more if Corbyn doesn’t take a more active part in the campaign. Whilst Corbyn is somewhat correct that David Cameron is unable to persuade Labour voters to back the European Union, Corbyn sharing platform with the Prime Minister would not lead to mass support for Brexit amongst core Labour voters. In fact, what it would do is clarify Jeremy Corbyn’s position on the referendum and increase support for Remain. Former leaders Neil Kinnock, Tony Blair, and Gordon Brown have done their bit to campaign for a Remain vote. The same is true of other high-profile Labour politicians such as David Miliband and Lord Prescott. However, as the current Leader of the Opposition, Corbyn’s should arguably shoulder more of the burden of the campaigning. It is not enough for Corbyn to give the odd speech, if Remain are to win the referendum then Corbyn must be out campaigning every day, just like David Cameron. 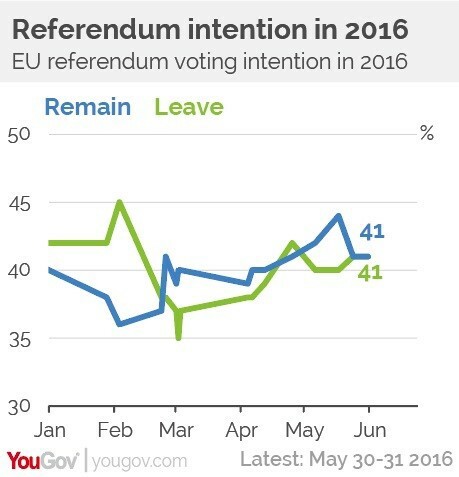 Ultimately, Corbyn must make more effort to campaign for a Remain vote in the referendum. Failure to do so could end up with the UK beginning plans to leave the European Union of 24 June. Previous Previous post: Why I will be voting remain on 23 June. Next Next post: Who could replace Nick Compton for England?